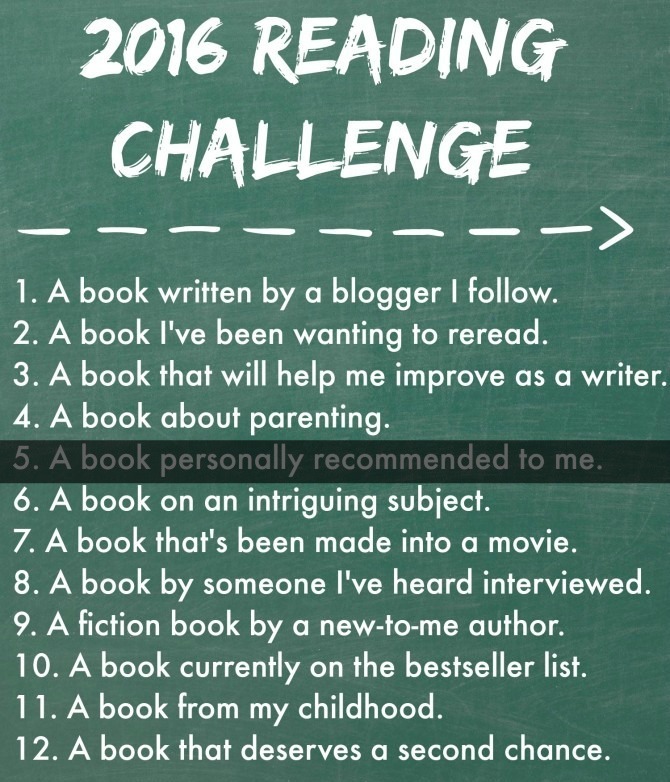 2016 Reading Challenge: A book personally recommended to me. Like most committed bibliophiles, I have a To Be Read list that is growing by the day—my metaphorical bookshelves are brimming with more books than I could possibly consume in a single lifetime. In a way this is a good problem to have, as it ensures I will never be lacking in quality reading material. But a major downside to the extensive TBR list is that some of the books most deserving of my time can get lost in the shuffle, bypassed in favor of titles that are easier to obtain or are garnishing more wide scale attention (and are thus more likely to be on my radar when I’m looking to start a new book). Titles make their way onto my list from a plethora of sources: podcast guests, bestseller lists, and even other books have all opened my eyes to novels, biographies, personal development guides, and picture books that I’d love to read. My most valued sources for reading recommendations are friends and loved ones who know me personally and are able to suggest books in line with my interests, reading tastes, and current life circumstances. 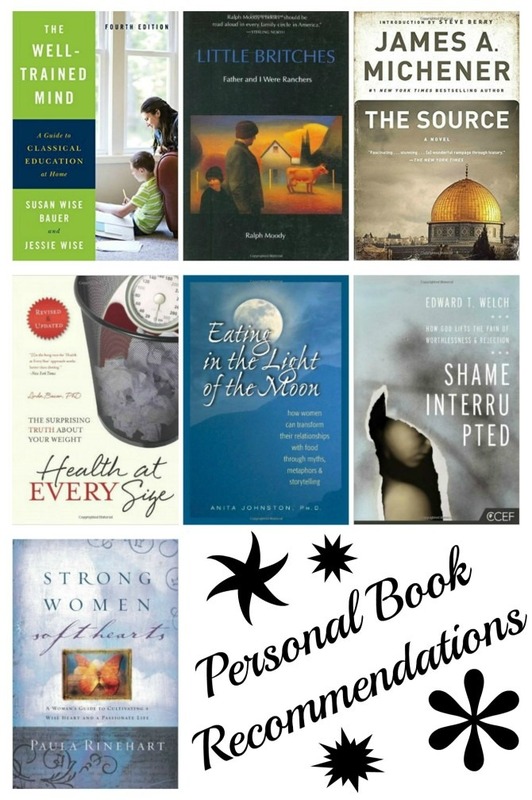 As a self-nudge towards one of these customized book selections, I included “a book personally recommended to me” as one of the twelve categories in my 2016 Reading Challenge. I’m fortunate to have a number of fellow book lovers in my life, and over the years they have recommended numerous titles that could have satisfied this category. With Mother’s Day coming up this weekend, it’s fitting that the book I chose for this category comes from a recommendation made by my mom. As the woman responsible for my own literary love, it’s no surprise that we share similar tastes in books, particularly fiction. When my mom recommends a novel to me, I know that I’m in for a reading treat. 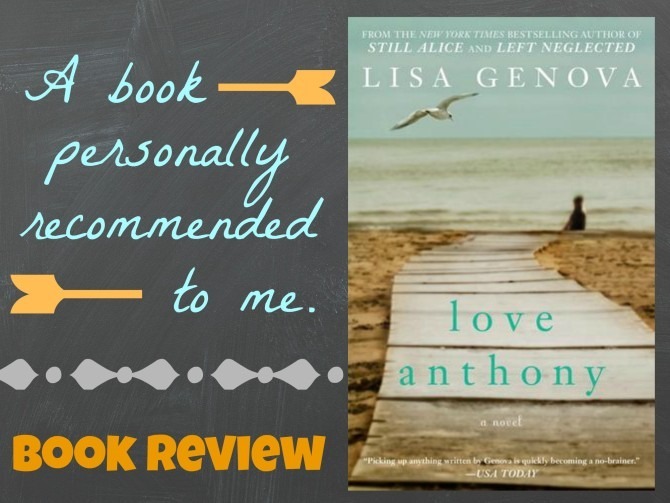 Ironically, I was the one who first introduced my mom to Lisa Genova when I recommended Still Alice (which she now cites as one of her all-time favorite books). When Love Anthony was released a few years ago, I was sure Mom would want to read it and bought it as a birthday gift before actually reading it myself. After reading the book she immediately passed it back to me, insisting that I would love this powerful story. It took me a while, but I finally got around to reading it and I’m glad that I did. Love Anthony is the story of two grieving women in search of wholeness. Beth is a Nantucket resident and mother of three who is struggling to come to terms with the dissolution of her marriage. In an effort to reclaim part of her pre-marriage happiness, Beth returns to a former passion: writing. During daily writing sessions at the local library, she begins penning a novel about a young boy with autism. Unbeknownst to Beth, her novel channels the story of Anthony, an autistic child whose mother, Olivia, is seeking solace on Nantucket following her son’s tragic death. The two women’s stories slowly converge as Anthony posthumously teaches them both about love and healing. 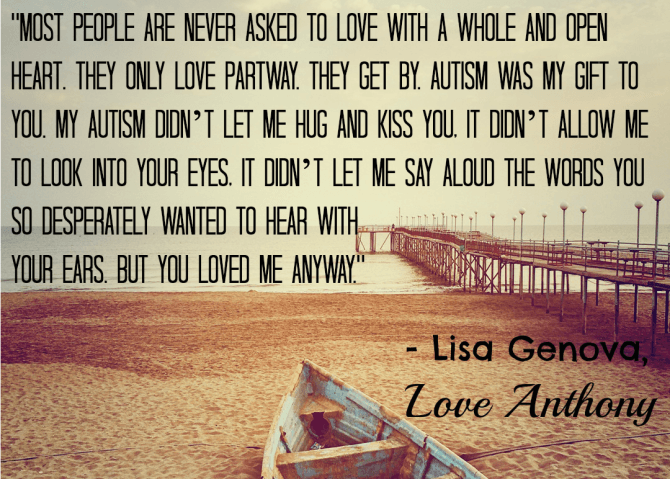 Though I’ve loved all of Lisa Genova’s books, this is my favorite. I was captivated by the stories of both protagonists and learned a great deal about autism and the rippling effects it has on those it touches. Genova’s writing is beautifully descriptive, conveying emotions in poetic language that had me highlighting paragraphs throughout the book (something I rarely do in fiction). I particularly appreciated the passages written in Anthony’s voice: what an intriguing and chilling glimpse into the autistic mind. Elements of the story verged into mindless chick-lit territory, and there was a bit of mysticism that I found hard to swallow, but despite these drawbacks, I have been unable to stop thinking or talking about this powerful book. Once again, my mom made an excellent book recommendation! My Rating: 4.5 stars. Here are a few of the other books I thought about reading to fulfill this category. Although I ended up going with a novel, the books personally recommended to me tend to be nonfiction. It seems those around me have picked up on my desire for self improvement! Health at Every Size: The Surprising Truth About Your Weight, by Linda Bacon: I worked with a dietitian who believed strongly that health is not directly correlated with one’s weight; she suggested I read this book to help me shift my focus from thinness to healthiness. The Well-Trained Mind: A Guide to Classical Education at Home, by Susan Wise Bauer: A homeschooling mom I admire said this book transformed her approach to teaching her kids. 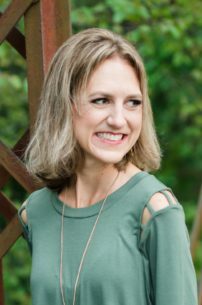 Eating in the Light of the Moon: How Women Can Transform Their Relationship with Food Through Myths, Metaphors, and Storytelling, by Anita A. Johnston: A former therapist used this book with many of her other eating disorder patients and thought the book’s story-based approach to recovery would resonate with me. The Source, by James A. Meichener: My Dad loves historical fiction. When I asked him what book he thinks everyone should read, he suggested this novel about the history of western civilization. Little Britches, by Ralph Moody: A friend whose kids are now in college told me that this “boy friendly version of the Little House books” was the best book she read with her sons during her homeschooling years. Strong Women, Soft Hearts: A Woman’s Guide to Cultivating a Wise Heart and a Passionate Life, by Paula Rinehart: I met with a spiritual director who recommended this book after I shared my personal testimony and ongoing battle with depression. Shame Interrupted: How God Lifts the Pain of Worthlessness and Rejection, by Edward T. Welch: A mentor recommended this book to me at a time when I was working through some deep emotional pain, citing it as a book that helped her overcome similar struggles. How do you prioritize books on your TBR list? Are you more likely to read books that come personally recommended to you? If you have any recommendations you’re willing to pass on, I’d love to hear them!